'Polish Foreign Minister Witold Waszczykowski on Monday criticised the European Commission's handling of last year's migrant crisis, saying that Brussels had exacerbated the problems rather than offering real solutions. More here http://www.breitbart.com/london/2016/08/29/polish-foreign-minister-eu-exacerbated-migrant-crisis/ but not on the institutionally pro EU and pro immigration BBC. "If you are planning … to run for president … don't set up a foundation where you are beholden to scumbags from other countries. That's ridiculous. And if you are secretary of state tell your husband not to do business with them." Pretty obvious, but not if you're Hillary Clinton. More here http://www.breitbart.com/hillary-clinton/2016/08/27/listen-former-clinton-global-initiative-moderator-slams-foundation-calls-events-gross/ but obviously not on the pro Hillary Clinton BBC. This BBC report http://www.bbc.co.uk/news/technology-37205029 is fascinating for the lack of investigation they have performed or detail reported. If there had been claims of right wing bias then the BBC would have investigated the claims, listed some examples and have been outraged. But as it's bias towards the left, towards the BBC's politics, then the BBC are not bothered. Am I the only person reading this BBC piece http://www.bbc.co.uk/news/uk-37198354 thinking 'blimey you don't want to cross Jeremy Corbyn'? '(Reuters) – A British woman was stabbed to death on Wednesday at a backpackers' hostel in Australia and two people were injured, one seriously, in what police say may have been an "extremist" attack. Nothing as yet on the, protect Islam from criticism at all costs, BBC. The BBC reluctantly report http://www.bbc.co.uk/news/uk-politics-37167700 that their blessed Jeremy Corbyn might have told a porkie. 'Virgin Trains has questioned footage showing Jeremy Corbyn sitting on the floor of a "ram-packed" service. In a film shown on The Guardian, the Labour leader said he was experiencing a problem "many passengers face every day" on the London to Newcastle train. I wonder if the BBC's friends at The Guardian will report Virgin's remarks? 'Sweden generally has low crime rates but police have had difficulty addressing violence in poorer neighbourhoods in Stockholm, Gothenburg and Malmo. Odd how I don't recall any previous BBC reports mentioning these car burnings in Sweden. I wonder if the perpetrators are in any way linked to those who burn cars in some French cities. More here http://www.breitbart.com/london/2016/08/20/turkish-eu-minister-will-eu-member-within-6-years-free-movement-2017/ but obviously not on the institutionally pro the Islamificaion of the EU BBC. Read this BBC report http://www.bbc.co.uk/news/world-europe-37132582 about a Rabbi being stabbed in Strasbourg. It would seem that for the BBC and the European authorities if a Muslim shouting Allahu Akbar attacks a Jewish man (possibly a rabbi) who was wearing 'distinctive Jewish dress' 'no anti-Semitic motive had yet been established'. The rise in antisemitism in Europe has been fuelled by both the media's hatred of, and propaganda against, Israel and the rise of Muslim immigration. 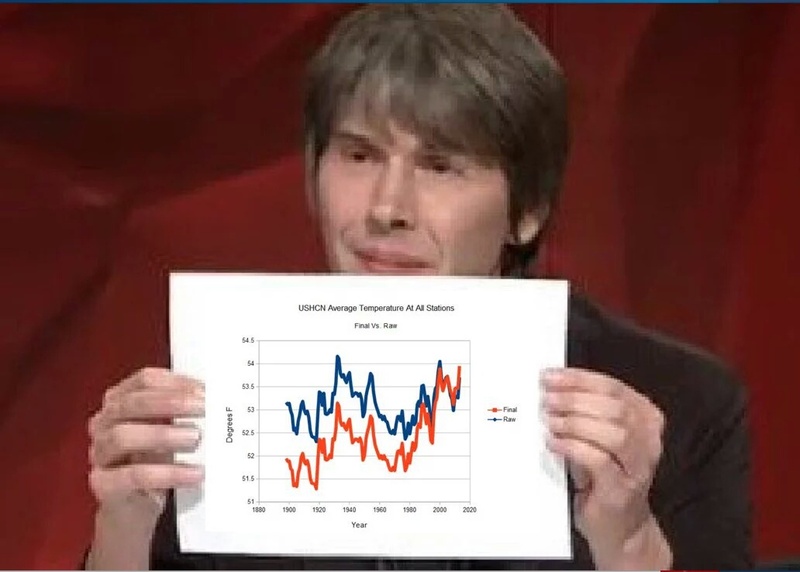 The BBC's report on Professor Brian Cox's appearance on Australian TV was accompanied by a deliberately chosen still of the aforementioned celebrity scientist holding up a graph showing rising temperatures. For more debunking take a read here. Under is precisely the wrong word. Behind would be OK.
Judge who ruled in Labour membership appeal challenged over being a "Zionist"
You can read more here in the JC http://www.thejc.com/news/uk-news/161930/JUDGE-WHO-RULED-LABOUR-MEMBERSHIP-APPEAL-CHALLENGED-OVER-BEING-A-ZIONIST but obviously not on the BBC. This Telegraph report is possibly the least surprising that I have read for some time. That line refers not to stopping unchecked immigration or to being soft on Islamist terrorists and the supporters of Islamist terrorism, but rather to the continuance of European traditions. Welcome to Europe's dhimmified future. 'Unfortunately for Christians in Europe, the murder of a priest celebrating mass in France is just the peak of swelling anti-Western, and anti-Christian sentiment on the continent. Just yesterday major Belgian Dutch-language newspaper Het Laatste Nieuws reported that police are seeking a young boy after he was filmed walking down the main street of Waloonian city Verviers calling for Christians to be killed.In between prayers the young boy cries out: "Oh Allah, destroy the terrible Christians. Oh Allah, kill them all. Do not let a single one survive." These highly radicalised youngsters fit a growing pattern in Europe, where young Muslims are consistently more radical than their parents, even among second and third generation migrants who might otherwise be supposed to have enjoyed the benefits of Western life and integration. Writing earlier this year, Breitbart London's Editor in Chief cited numerous studies which found the young generation of Muslims in Britain and Europe to have a high rate of acceptance of terror methods, endorsing or excusing attacks including the 7/7 bombings and the Charlie Hebdo attack. 'Belgian police have launched a manhunt for a teenager after footage emerged of him calling for "the murder of all Christians". The video shows the 15-year-old, who has not been named, in Verviers and, in Arabic, declaring, "Oh Allah,destroy the odious Christians. Oh Allah kill them all." The boy is filmed on a French website saying, "Don't spare any of them." The film was shot in Verviers, the scene of a successful anti-terrorism operation last year. Well isn't that just dandy? Welcome to the future of Europe thanks to the idiocy of too many European politicians. Is Lebanon really the best model for a future Europe? Not reported with the banner headlines that the FTSE's post Brexit vote falls were accorded. But that's the beauty of the BBC's bias, always pushing the narrative. 'Climbers have encountered deep snow on Britain's highest mountain while assisting in a scientific project on the peak. It is not unusual for Ben Nevis to have coverings of snow all year. More here http://www.timesofisrael.com/palestinian-loses-his-job-for-saving-israeli-terror-victims/ but not on the institutionally anti Israel BBC. This BBC sport roundup of yesterday's Olympics news http://www.bbc.co.uk/sport/olympics/37016458 includes a real 'so what' section. C) Do the BBC not realise how their obsession with promoting Islam is to the rest of us? 'THE BBC is struggling to find contestants for the new series of Strictly Come Dancing because Ed Balls is in it. The corporation admitted it may be forced to use people who have the same names as celebrities and who can also stand to be in the same room as the bum-faced former Labour MP. Huw Edwards, the BBC newsreader and inevitable Strictly contestant, said: "I'll wait for the next series. I don't even want to pretend to like Ed Balls." Tennis hero Tim Henman revealed he turned down the offer, adding: "It seems like a rather pathetic attempt by Ed Balls to reinvent himself and I cannot be involved in that in any way." Actress Penelope Keith, who also turned down the BBC, said: "It would be really awkward when Ed Balls finishes his routine and he and his partner join all the other contestants, but none of them are applauding him. Thanks to The Daily Mash http://www.thedailymash.co.uk/news/arts-entertainment/no-one-wants-to-be-on-strictly-with-ed-balls-20160808111995 for that. The BBC's assistance in the rehabilitation of one of the nastiest members of the Labour Party in its pre Corbyn days doesn't surprise me but does revolt me. 'France's politicians and community leaders have criticised the "intolerable" violence against Paris' Jewish community, after a pro-Palestinian rally led to the vandalizing and looting of Jewish businesses and the burning of cars. It is the third time in a week where pro-Palestinian activists have clashed with the city's Jewish residents. On Sunday, locals reported chats of "Gas the Jews" and "Kill the Jews", as rioters attacked businesses in the Sarcelles district, known as "little Jerusalem". 'The statistical probably of Labour forming a majority government at the next election - to the nearest percentage point - is zero, while the most likely outcome on current showing is that the Conservatives will come back with an outright majority of 90, according to a new report. The analysis by Electoral Calculus, based on statistics and opinion polls, offers a wildly different conclusion to the gut instincts of some of the people who bet on politics, who believe Jeremy Corbyn in with a chance of victory. Nothing on the BBC yet, they're presumably debating how to spin this as nothing to do with Islam. Eight and a half years is not really a life sentence is it?